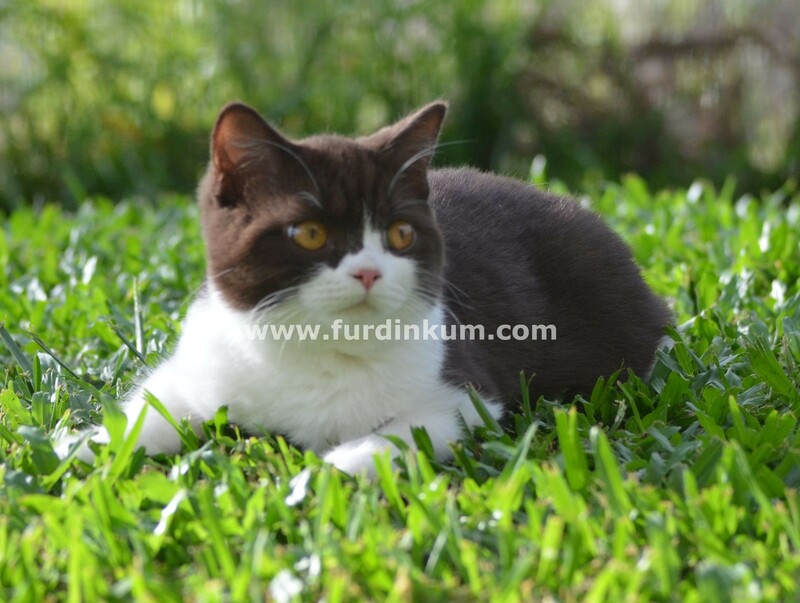 Furdinkum is a small registered boutique home-based cattery located in Upper Caboolture. My name is Tracey and I specialise in breeding chocolate and lilac coloured cats of quality and type, using the best lines I can find. I have recently purchased some stunning cats from Europe and can now produce cinnamon and fawn coloured British. I am only one of two breeders in Australia who can currently produce these colours. I also have other colours available at times, including blues, creams, reds, tortoiseshell and bi colours. I do not breed just for colour, I breed for the best type and standard of the breed that I possibly can, and I’m continually striving to improve the quality of my cats. Kittens can be flown interstate at the buyers expense. The British Shorthair is a sturdy, compact cat with deep-chested, Cobby Body and unique dense coat. They are good with children and other animals and are highly adaptable, easy to care for and love to be close to humans. Because these cats are low maintenance and lovable, they make an ideal pet. We only breed a limited number of litters per year and aim to produce quality kittens with an excellent temperament, good health and characteristics true to the breed. Contact Tracey for further details or to discuss owning your own Furdinkum British Shorthair kitten.